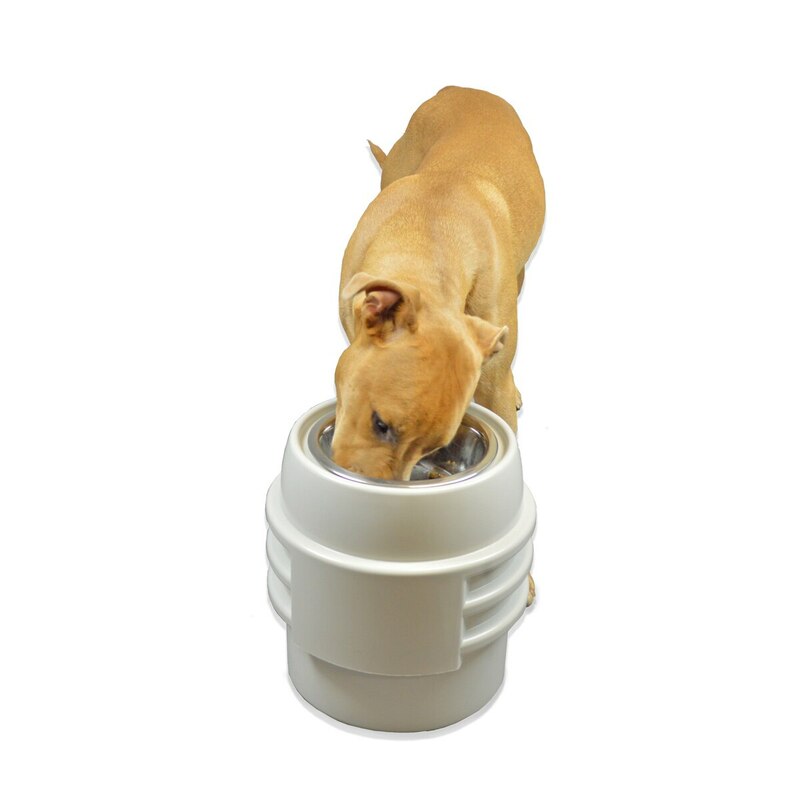 Three sizes (8″, 10″, 12″) for your dog allow this adjustable feeder to grow as your does, meaning this is the only feeder you will ever need. The air-tight seal on the storage bin keeps your dog’s food fresh while providing you with a convenient way to feed your dog. Made from durable plastic that will not rust or chip and it can be easily cleaned with soap and water. 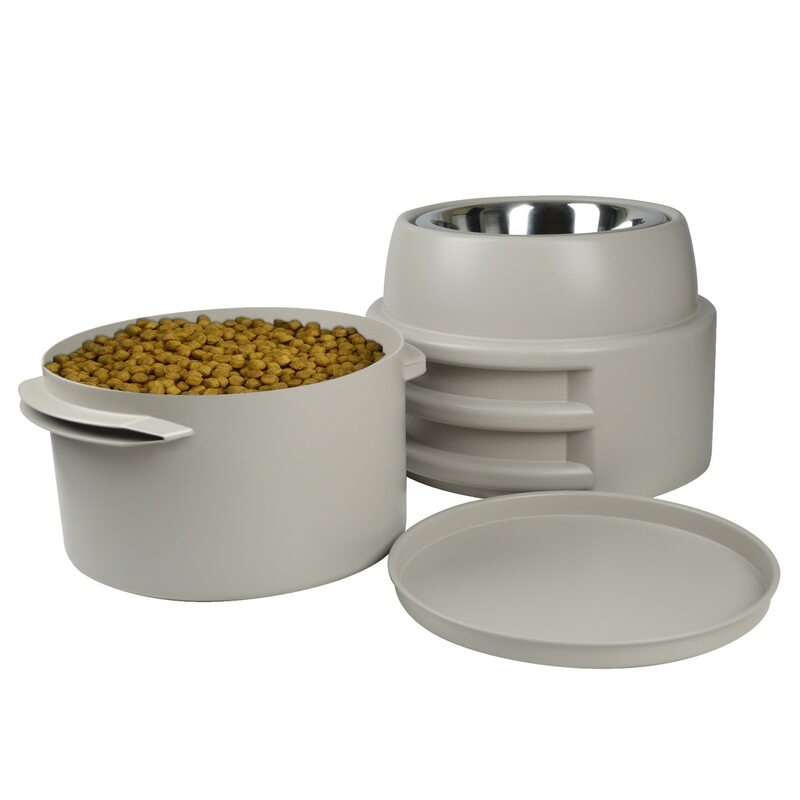 Removable, stainless steel bowl is dishwasher safe. Bowl holds 5.5 cups of dry food. Stores up to 6lbs of dry food.